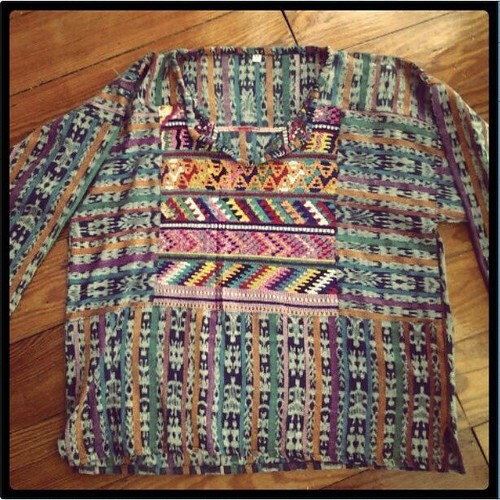 If you have gone shopping anytime in the last year you might have noticed a trend towards ethnic prints. The trend is nothing new and something that seems to resurface every summer with a few tweaks. 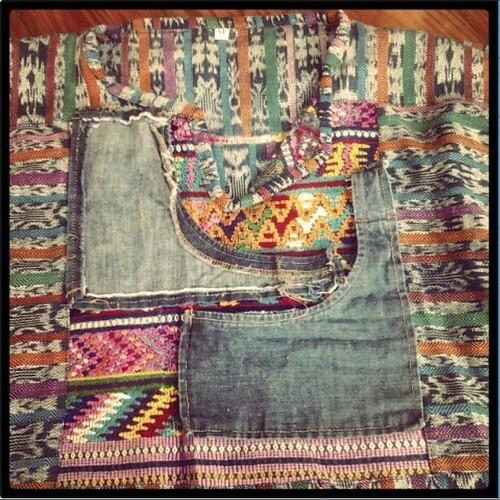 This summer I took the bait and decided to try my crafty hand at joining the trendy ethnic print party. A few years ago my parents took a trip to Guatemala. My one request was for a shirt with a colorful brocade pattern. Sadly the shirt they brought me was a tad on the frumpy side and looked like something you would wear to a Phish concert. I loved the material and always knew that someway, somehow I would make that dumpy shirt wearable. 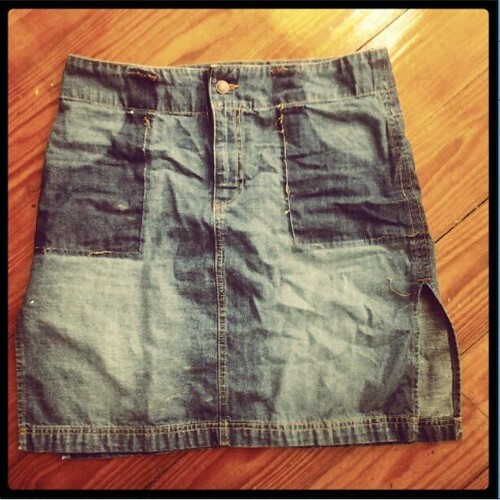 Enter my new blue jean skirt from the thrift store begging for a pocket makeover. The first thing I did was using a seam ripper removed the pockets. 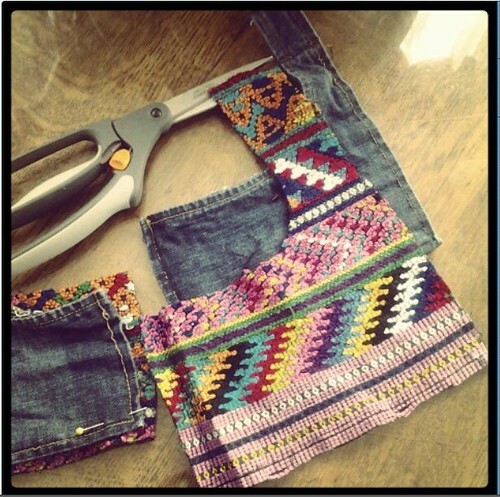 Using the old pockets as a guide I placed them on the dumpy shirt and cut out new pockets. Just look at those fancy new pockets! 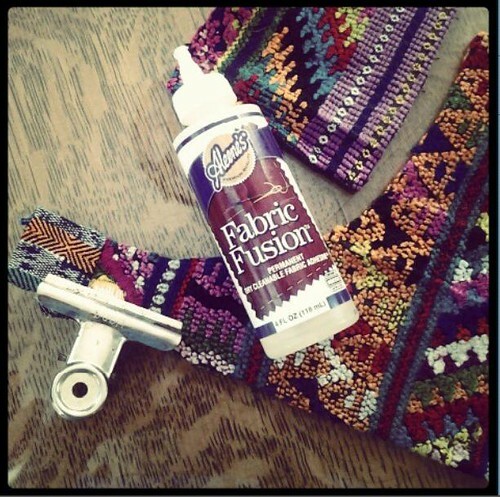 Instead of pinning the edge on the new pockets down we used Fabric Fusion glue. You might need to use clothespins to hold edges down until the glue dries. Next I handed the skirt over to my mother to sew. 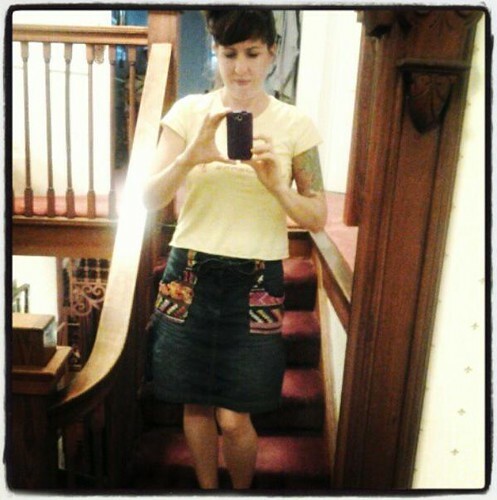 I was visiting her house when i made this skirt. First she sewed all the way around the edges of the pockets. 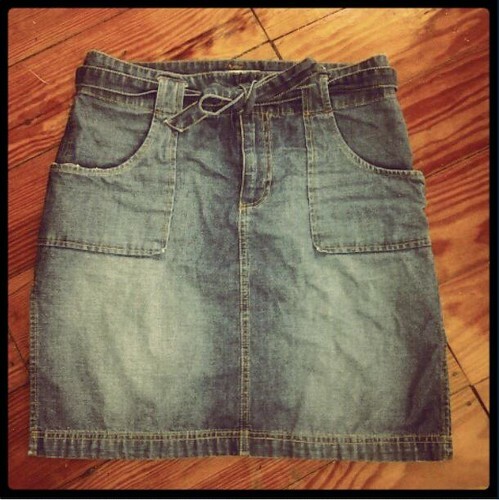 Next she pinned them to the skirt where the old pockets once lived. Lastly, she reattached the pockets to the skirt making sure not to sew the belt loops and part where you put your hands in shut. 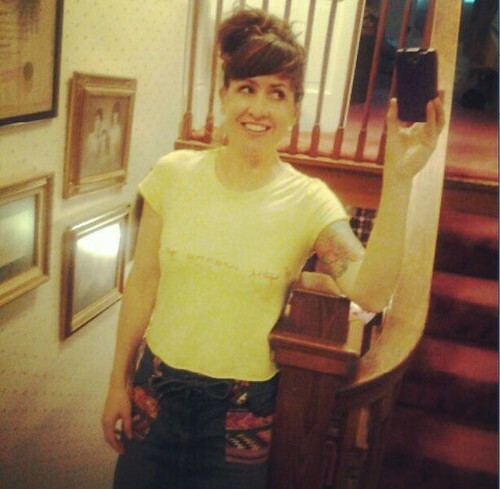 It just so happened the night I finished my skirt I had a hot date with a few of my crafty friends. My skirt was a big hit! Sadly after all that work I learned the hard way that the zipper is broken on my new skirt. 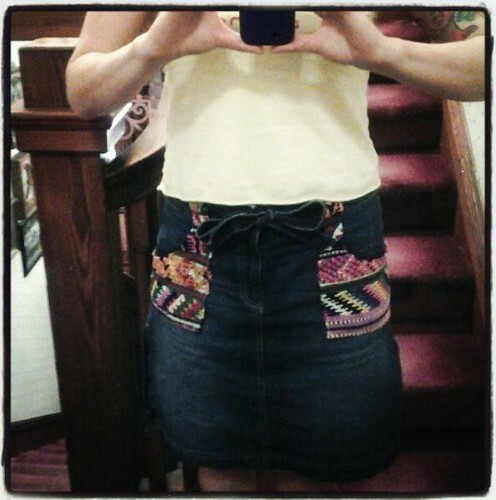 Old skirt, new pockets and a broken zipper. 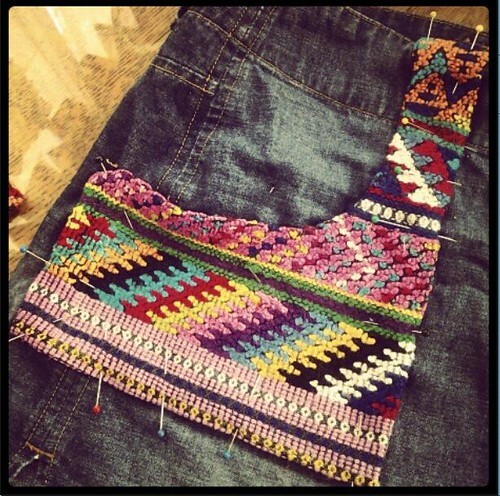 Maybe I'll replace the zipper with something more exciting and colorful just like I did the pockets. I LOVE this! And you look amazing! Fabulous! I love to kick up a notch the "old" stuff, too! Adorably fun.